Depression can take you to a dark and lonely place in mental, emotional, and physical ways. But there is always hope. Whether you suffer from mild or major symptoms, there may be natural remedies for depression that you can use to help you see the light. These natural treatments include lifestyle changes, diet, and physical activity. This common mental disease can affect a mind and body in a way that can be debilitating. More than 450 million people worldwide suffer from depression. Depression is diagnosed when a low state of mind persists over a period of at least two weeks, along with a change in self-image and sleeping and eating habits. A reduction in energy and concentration is also detected. The Final Word: What Else Can You Do? The conventional treatment for depression is antidepressants, but they may be considered ineffective for people with mild to moderate depression. As a result, people may choose to explore non-drug treatments for depression. Let’s take a quick look at seven safe and effective natural remedies for depression. Deficiencies in omega-3 fatty acids are often associated with depression symptoms. Eicosapentaenoic acid (EPA), in particular, is considered a natural serotonin booster, and studies show that it can improve mood better than antidepressants. The best dietary sources of EPA include wild salmon, herring, or mackerel. Magnesium and calcium together are both effective for depression. Also, a magnesium deficiency may lead to depression symptoms. Calcium is also known to help regulate nervous system impulses, and it is important for neurotransmitter production. However, as excessive amounts of calcium will often lead to calcification, magnesium is necessary to prevent calcium deposits and precipitation. The amino acid tryptophan is responsible for the production of serotonin. Tryptophan will convert to 5-HTP before it produces serotonin. Several studies have found that 5-HTP is as effective as antidepressants for depression. It is also less expensive with fewer side effects. Vitamin D is essential for good bone health, and studies now suggest that it may also help with depression. Researchers found that vitamin D is as potent as a prescribed antidepressant. The vitamin performed as a hormone as it directly targeted the brain receptors. Vitamin D is highly recommended for depression and seasonal affective disorder treatments. Natural ways to boost vitamin D levels include consuming egg yolks, cheese, and fatty fish like tuna, salmon, and mackerel. B vitamins have been shown in clinical trials to help with depression as the disease presents low levels of vitamin B9 (folic acid), as well as vitamin B12. Vitamin B9 combats fatigue and irritability while vitamin B12 increases energy and helps the neurological system. These vitamins promote the natural production of serotonin, which controls our mood, sleep, appetite, and pain receptors. According to Harvard Health, studies have shown that a lack of serotonin may be linked to depression. St. John’s Wort is a controversial plant remedy for mild to severe depression symptoms. The Food and Drug Administration has yet to approve the use of the herb to treat depression as results vary in studies. The National Institutes of Health published a study of 29 trials and suggested that St. John’s Wort offered the same results as prescribed antidepressants without all the side effects. It may boost serotonin levels and replace prescribed selective serotonin reuptake inhibitors (SSRIs). However, the National Center for Complementary and Integrative Health reported that two of their studies showed no difference between the herb and placebo. Neurotransmitters in the brain influence our mood and energy. These message carriers are fueled by the food we eat. A 2009 five-year study published in The British Journal of Psychiatry showed that those following a diet regime of healthy foods might have reduced depression symptoms, as well as a lower risk of developing depression. Fruits and vegetables: Foods with high levels of folate will help with depression, such as beets, broccoli, spinach, avocado, and asparagus. Also, antioxidant foods such as cranberries, blueberries, goji berries, blackberries, and artichokes may help stabilize a chemical imbalance that can lead to depression. Lean protein: Protein balances hormones, promotes good neurological function and mood, and increases energy levels. Consume wild-caught fish, organic chicken, grass-fed beef, free-range eggs, black beans, lentils, bone broth protein powder, and yogurt. Probiotic foods: These foods boost energy levels, concentration, and thought processes, as well as stimulate positive thinking. Consume raw cheese, yogurt, kefir, miso, fermented vegetables, and kombucha. Here are eight effective lifestyle changes to help treat and prevent depression symptoms. Clinical studies show that acupuncture treatment can help alleviate depression by calming the nervous system. In a 2013 study published in the Journal of Alternative and Complementary Medicine, electro-acupuncture treatment was shown to the same effect on depression as the antidepressant fluoxetine (Prozac). If you’re feeling depressed, it may help to head to a yoga studio for a restorative yoga class. Practicing yoga is a relaxing, calming way to provide relief for depression and feelings of anxiety. Some of the best yoga postures that help alleviate anxiety and depression symptoms include the handstand, mountain pose with arms held overhead, downward-facing dog, chair backbend, shoulderstand with a chair, and a supported bridge pose over bolster. Doing any form of exercise may be difficult for those dealing with depression as they are usually unmotivated to move and want to be secluded. However, physical activity has been shown to stimulate endorphin production, which is also referred to as “feel good” triggers. Furthermore, depression and stress may be alleviated by the release of serotonin, dopamine, and norepinephrine hormones. Simply by walking at least 20 minutes each day, the brain may switch to transmitting positive thoughts. Taking the stairs instead of the elevator, swimming, participating in yoga and meditation, or joining a fitness class can also help. Sleep can be hard to come by for most people, and this is especially so during a bout of depression. Positive mental, emotional, and physical well-being depends on adequate sleep—not only in length but also in quality. A lack of sleep can lead to stress, anxiety, irritability, anger, and depression. Improve sleep by avoiding the use of electronics, including the TV, at least 30 minutes before bedtime. Instead, prepare for bedtime with meditation, reading, or listening to soft music. A few drops of lavender essential oil on bedsheets or the back of the neck may also help. Also, consume warm goat’s milk with Manuka honey before going to bed and avoid eating meals two to three hours before laying down. Any health condition or ailment needs emotional and physical support, including depression. Since depression may be the result of feeling a lack of purpose and a low self-image and confidence, it is important to reach out for support. This support may be in the form of a network of trustworthy friends and family, a professional counselor, or religious and spiritual groups. In fact, the University of Michigan released a 2013 study outlining the positive effects of personal relationships on a depressed state of mind. According to studies, a vitamin D deficiency may cause depression due to a lack of exposure to natural sunlight. Researchers at the University of South Australia studied this relationship based on evidence from more than 2,000 years ago. Their work suggests spending at least 20 minutes in sunlight daily. Many times, when natural sunlight is diminished, light therapy is used. This form of treatment involves the use of a “light box” or lamp on a daily basis. Another natural way to combat stress hormones that contribute to depression is with cold water therapy. A successful treatment in clinical trials, bathing in cold water reduces stress hormones by triggering the sympathetic nervous system. Cold water also helps balance serotonin levels. Hydrotherapy has been shown to improve mood by manipulating the force and the temperature of the water. This water treatment is often used at spa relaxation retreats in the form of balneotherapy, which undertakes different techniques than hydrotherapy but still focuses on water use. A polar dip, cold shower, or an ice bath may be difficult to undertake at first. So, you can try a cold water rinse to become accustomed to these treatment methods. A body-centered psychotherapist will use a holistic approach to therapy. They use tools such as hypnosis, reiki, or qigong healing to help rid the body of emotional blocks. Although many people wake up to and enjoy a morning cup of coffee, it can be best to avoid stimulants that could affect the brain, like alcohol or caffeine. Also, make sure your diet is rich in B vitamins, chromium, zinc, vitamin C, vitamin D, and selenium. Finally, don’t forget to speak with your doctor, a friend, or a loved one about any depression symptoms you may be experiencing. Just remember that you are never alone. Hershoff, A., Homeopathic Remedies: A Quick and Easy Guide to Common Disorders and Their Homeopathic Treatments (New York: Penguin Putnam Inc., 1999), 142-143. “Major Depression Among Adults,” National Institute of Mental Health web site; http://www.nimh.nih.gov/health/statistics/prevalence/major-depression-among-adults.shtml, last accessed June 4, 2015. Murray, M., et al., The Encyclopedia of Natural Medicine (New York: Atria Paperback, 2012), 478-502. Balch, J., et al., Prescription for Natural Cures: A Self-Care Guide for Treating Health Problems with Natural Remedies Including Diet, Nutrition, Supplements, and Other Holistic Methods (Hoboken: John Wiley & Sons, Inc., 2004), 191-197, 484-489. “Homeopathic Remedies for Depression,” Truestar Health web site; http://www.truestarhealth.ca/Notes/2218006.html, last accessed June 4, 2015. Holford, P., Good Medicine: Safe, Natural Ways to Solve Over 75 Common Health Problems (London: Piatkus, 2014), 66-69, 132-137. Davidson, J.R., et al., “Homeopathic treatment of depression and anxiety,” Alternative Therapies in Health and Medicine 1997; 3(1): 46-49. Macías-Cortés, E.C., et al., “Individualized homeopathic treatment and fluoxetine for moderate to severe depression in peri- and postmenopausal women (HOMDEP-MENOP study): a randomized, double-dummy, double-blind, placebo-controlled trial,” PLOS ONE 2015; 10(3); doi: 10.1371/journal.pone.0118440. 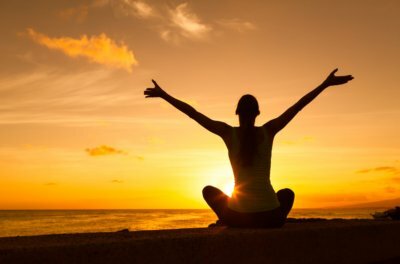 Gross, J.B., “5 Poses for Warding off Depression,” Yoga International web site, May 7, 2014; https://yogainternational.com/article/view/5-poses-for-warding-off-depression. Sun, H., et al., “Effects of electroacupuncture on depression and the production of glial cell line-derived neurotrophic factor compared with fluoxetine: a randomized controlled pilot study,” Journal of Alternative and Complementary Medicine 2013; 19(9): 733-739. Elder, C., “Effect of Transcendental Meditation on Employee Stress, Depression, and Burnout: A Randomized Controlled Study,” The Permanente Journal 2014; 18(1): 19-23. Iliades, C., “9 Depression Types to Know,” Everyday Health web site, April 10, 2014; http://www.everydayhealth.com/depression-pictures/different-types-of-depression.aspx#06.